Wedding bells are drenched in symbolism and tradition and are still popular today despite the increase in the number of ceremonies taking place outside of churches. If you wish to have wedding bells play a part in your special celebration, make sure you check out our advice on how to make the most of them on your big day. The wedding bells motif is as well-known as the ringing bell itself, so those of you that don’t want or can’t acquire chiming bells you could still use the wedding bell symbol. Try signing off each invitation or thank you note with a gold or silver bell stamp containing your initials. It is possible to get your hands on everything from bell-shaped cake decorations and bubble bottles, to favour boxes and confetti. If your ceremony venue is a church with bells, it will be fairly easy to fit the instruments in your day. The sound of the melody may change depending on the number of bells that are played, and you should consider whether you want the bells to announce your arrival or toast your departure from the venue, with the clergyman being the man with whom you can discuss possible rhythms. Should you be getting hitched in a civil venue, or in a church without bells, you will still be able to fit such a display into your day. You can play a CD of pre-recorded ringing or hand-bell ringers can be hired to play at your ceremony or reception. Alternatively you can hire mobile wedding bells if you want the authentic sound that cannot be replicated by hand bells or a CD. A portable unit of bronze cathedral bells can be delivered to your ceremony venue, and can play a number of tunes to fit all wedding themes and styles. 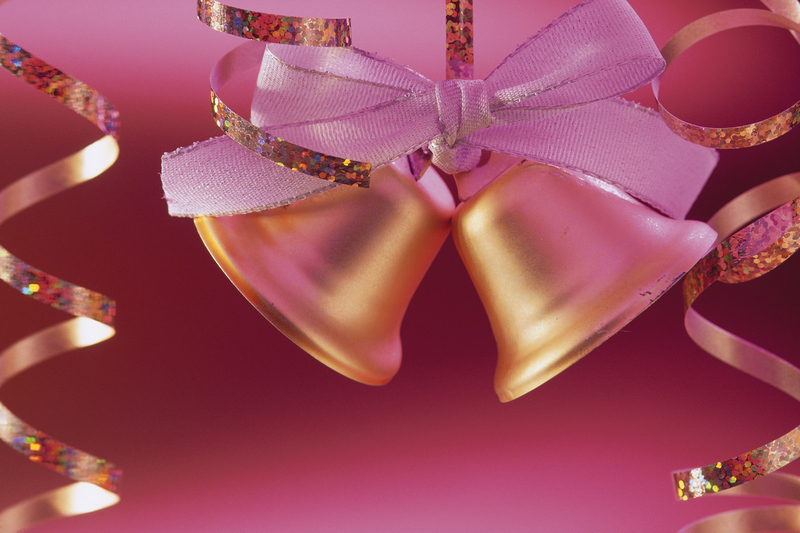 There may be some restrictions about where you can put the mobile bells and then noise will mean guests need to be a certain distance away, and they will require a power supply. 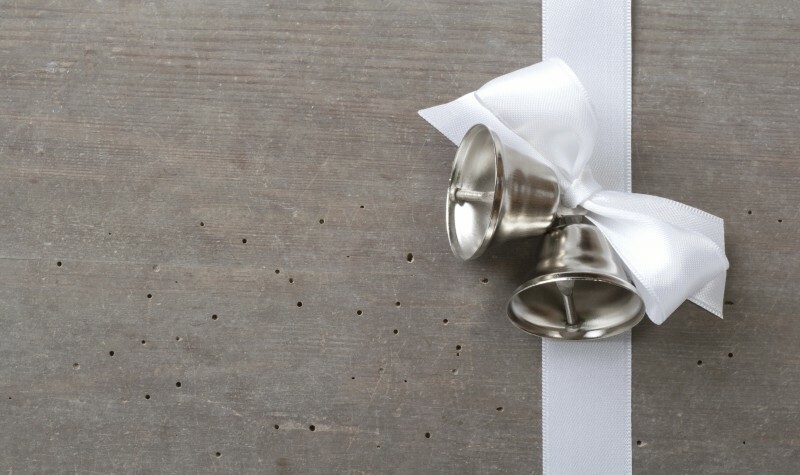 The tradition of having bells chimed at weddings can be traced all the way back to the Celts, with the bells being said to ward off evil spirits intent on causing harm to the couple and havoc on their big day. Furthermore, in Scotland the bells were also rung to signify a marriage having just taken place, being heard upon husband and wife leaving the church. Wedding bells still play a big part in traditional Irish wedding ceremonies. The bell is always received as a gift, which is then placed prominently in the newlyweds’ home. It is also used to conclude arguments and discussions without one party having to admit fault or concede that they were wrong.